Sip champagne, view the artwork and a video of the papermaking process. Video: A short interview w/ Fayetteville180 about my work/exhibit. Slideshow: Completed work and photographs from the exhibit. Follow my daily blog for updates! 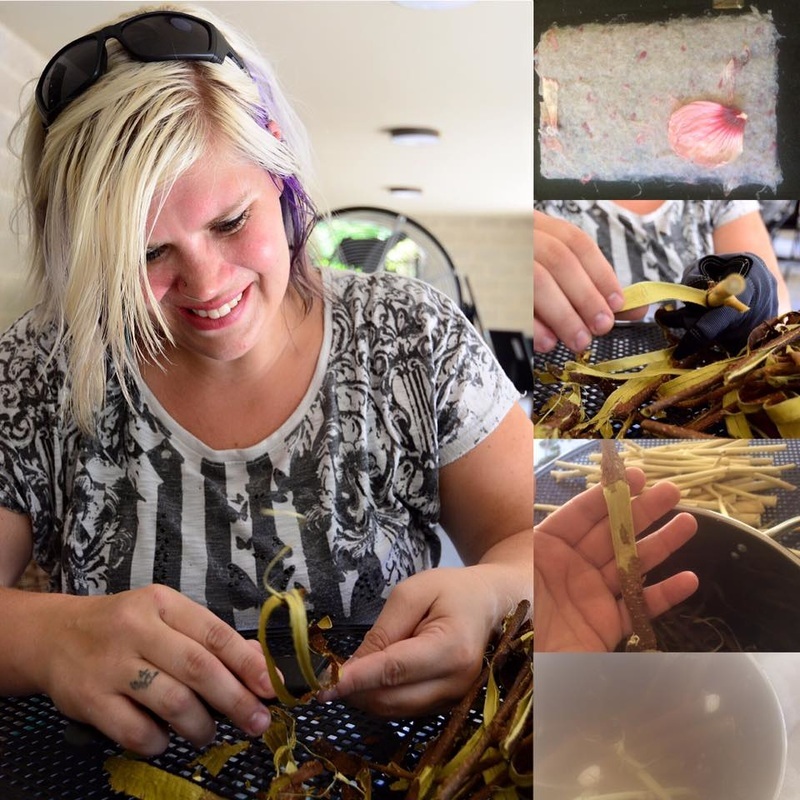 Artist-in-Residence at the Cape Fear Botanical Garden - July-August 2016. 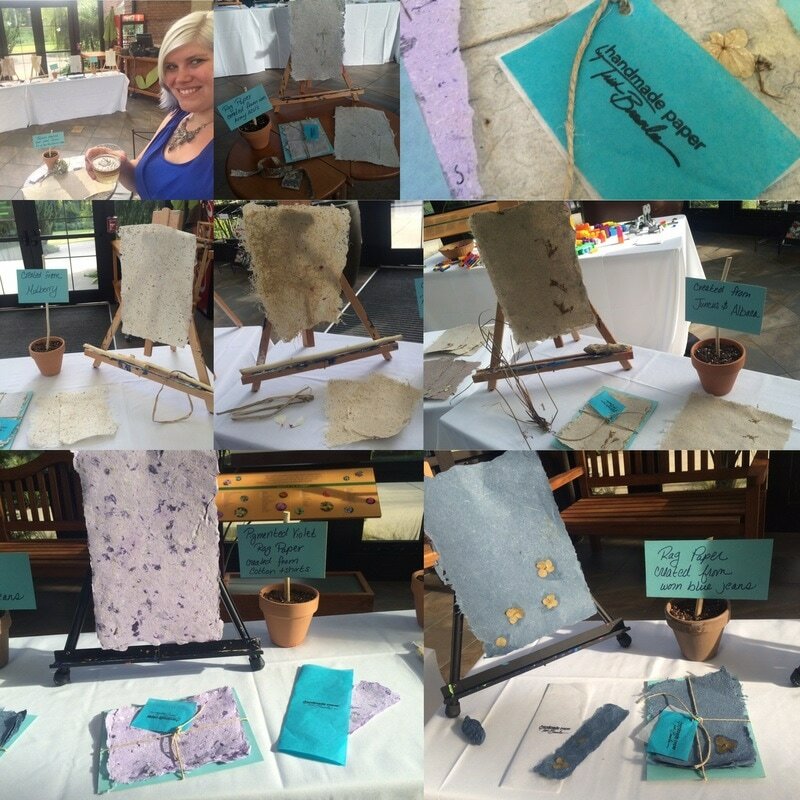 Papermaking & Pulp Painting for Kids! In this workshop, children will learn the history of papermaking and create their own handmade paper from plants and rags.They will also experiment with pulp painting and be able to keep their creations. Children may also chose to have their creation included in an art display at the Garden before taking it home. FEE $10 Garden Member, $15 Non-Member. This workshop is intended for children ages 7 and up. Limited to 14 participants. Join artist Trish Brownlee for “Breaking Rag” – a public workshop for veterans, their families, and the community, specializing in creating paper and artwork from worn military uniforms. All are welcome to attend this workshop, which is designed to break through assumptions and stereotypes and find real connection, bridging the gap between the military and veteran communities. 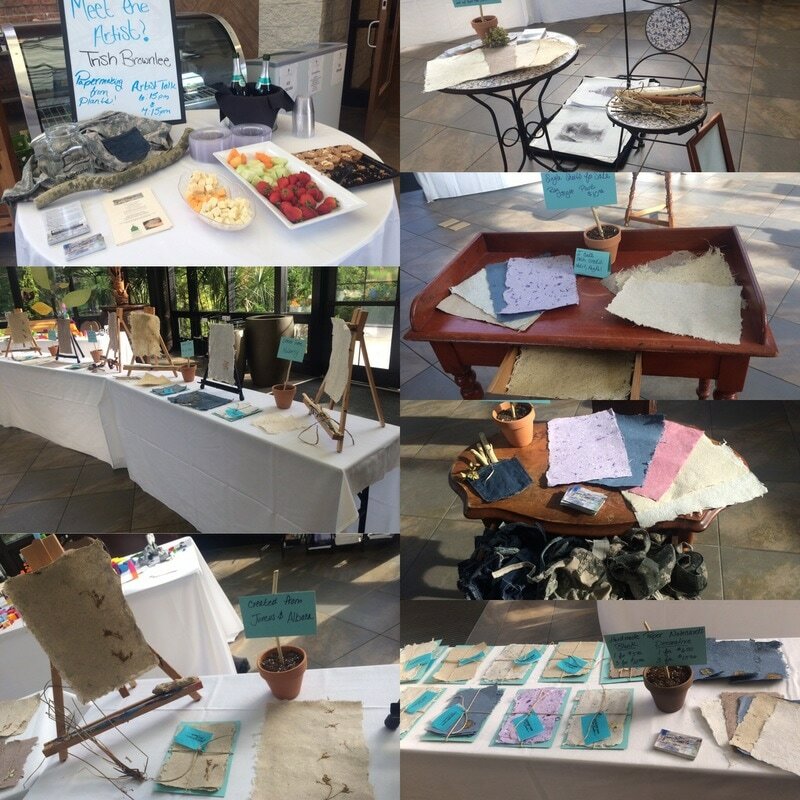 Participants will also experiment with plant-based papermaking, pulp painting and more and be able to keep their creations, once dry.